Water and other moisture is one of the main culprits of roofing damage for your Seattle roof, so it’s one of the things you want to be particularly vigilant about preventing. Since the roof is a surface that sees its fair share of precipitation, it’s one of the most common places where moisture can make its way into your home, and that same moisture can also start to eat away at your roofing materials. Here are some of the dangers, and ways to avoid the biggest problems, when it comes to water on the roof. Water that does not dry up or run off the roof is one of the biggest problems for your Seattle roofing. The longer it sits on your shingles, the more likely it will eat away at the asphalt on the exterior or find some other way inside to your attic, and eventually to your home’s interior. 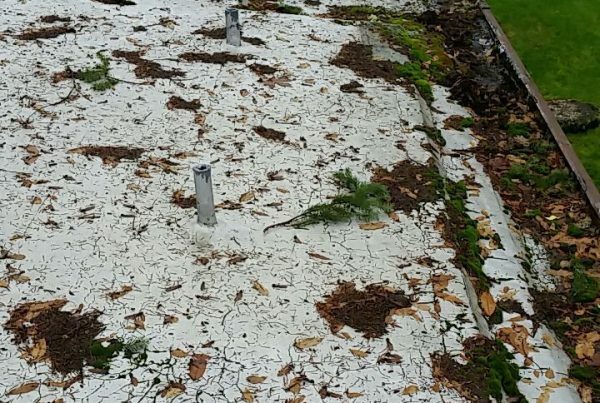 It’s important to regularly inspect the roofing to identify problem areas where water is still present in puddles more than a day or two after a storm. 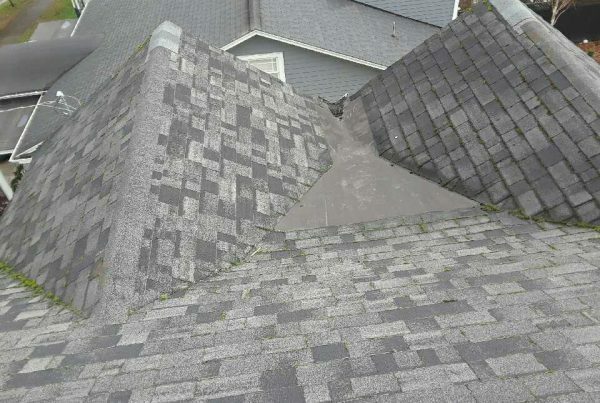 If you see it, call a Seattle roofing contractor to inspect it and make recommendations to fix the problem. The gutters sole purpose is to take the water, ice, and snow that hits your roof and channel it away from the house to a safe distance. Without working gutters, you run the risk of that water sticking around on the edge of the roofing, or overflowing and pooling up around your home’s foundation. Both of these situations can lead to significant damage, flooding, leaks, and more, so make sure your gutters are unclogged and free of debris before the next storm. In a climate like Seattle, where precipitation is a common occurrence, roofing has the additional risk of growing algae. When excess moisture is present on or below the roof, it can also create ideal conditions for mold and mildew growth. These things can damage your roofing shingles as well as the support structure in your attic that is holding the roof up, and should be addressed immediately. If your roof is in danger because of excessive moisture, find out more about how to fix the current problem and prevent that and other issues in the future by calling a Seattle roofing contractor today. 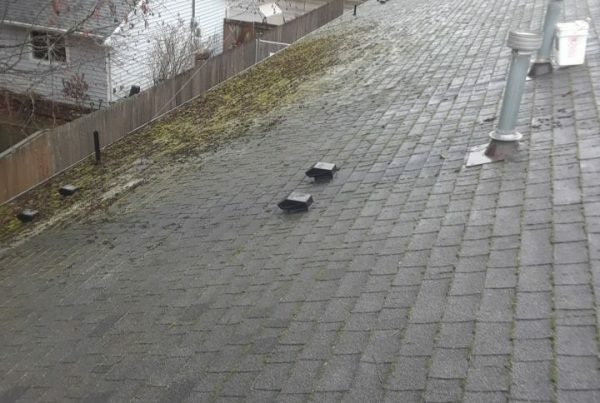 Is Moss Bad for Your Roof? © 2019 Pacific Pride Roofing, Inc.